Hawaii’s transition to a clean energy economy is on its way. The focus of the 2017 Maui Energy Conference explored new and innovative pathways to a vibrant and clean energy future. Energy experts and stakeholders from across the U.S. tackled critical cross-sector issues and examined groundbreaking strategies: How can we make our energy systems more resilient and sustainable? What types of rate structures and incentives will be necessary? What synergies across energy sectors are possible? From electricity and gas to transportation and water delivery systems…all sectors will play a vital role in creating the new energy landscape. How do we define resilience and sustainability? What do these look like? What strategies will get us to an energy system that is resilient? The challenge of achieving decarbonized energy production and maintaining a reliable, safe, affordable, secure and resilient energy system is formidable. We explore the nexus between agriculture production, use of water, and production of energy. With the closure of Hawaii’s last sugar plantation, what role will agriculture play in energy resilience? What are the possibilities for locally produced Biomass and Biofuels? What are the trade-offs in potential food security vs. energy security? In a global marketplace is food or energy security a myth? Brian Kealoha, Executive Director, Hawaii Energy/Leidos Engineering, LLCSmall businesses are the backbone of Hawai‘i’s economic vitality and resilience. Hawai‘i Energy is committed to helping them lower operating costs through energy efficiency. 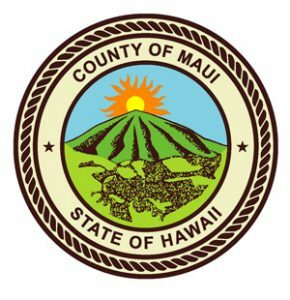 Through programs developed specifically for small businesses, Hawai‘i Energy has already helped over 400 Maui County small businesses become energy efficient. We will highlight a few of the success stories who aimed for 100% renewable energy but started first with energy efficiency before moving on to PV and energy storage. 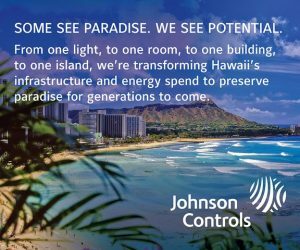 EMERGING TRENDS IN HAWAII ENERGY POLICY – Are We Sending Mixed Messages? What market signals are policy makers sending to energy stakeholders? Is it possible to stabilize energy prices and electricity rates, reduce carbon emissions, and provide reliable, safe, affordable, and resilient energy all at the same time? What measures will policy makers implement to protect vulnerable populations? Theodore (Ted) Peck, Chief Executive Officer, Holu Energy Two case studies of commercial on-grid microgrids operational in Hawaii with third party ownership, integrating PV and energy storage systems to create multiple value streams on both sides of the meter. 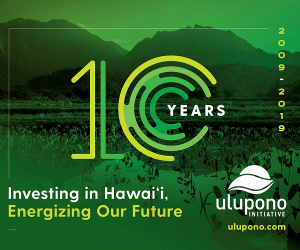 This panel of HNEI faculty will discuss current research projects on Maui and throughout the state that are addressing grid resiliency as Hawaii continues progress towards clean energy goals. The faculty members will discuss findings from recent HNEI-led demonstration projects, grid integration studies, and plans for future projects. What are the social, cultural, legal, and economic challenges of decarbonization using nuclear energy? Does nuclear energy have a role in Hawaii’s energy future? We will present a critical discussion to address community concerns and fears regarding nuclear energy. What opportunities exist to commercialize new innovative energy technology? How will this activity create jobs locally? Can innovative energy rate design and pricing help build a strong economy? How the use of incentives aid in this transition? Will expanding the electricity RPS to other areas such as other utilities or transportation (aviation, ground, and maritime) create a more resilient energy economy in the long run? We will discuss specific storage technologies and their contribution to resiliency. Are these systems ready for deployment and cost effective? Do they provide more than one function on the grid? Can customers provide support for their own electrical needs through storage, especially in a Distributed Energy Resources (DER) scenario? Erica He, Advisor, Business Development Energy Solutions, Sumitomo Electric Industries, Ltd.
Boris Von Bormann, Chief Executive Officer, Mercedes-Benz Energy Americas, LLC Daimler AG, The Mobility House AG and GETEC have joined forces to develop a 13 MWh battery storage project in Germany using a total of 1000 battery systems from second-generation smart for two electric drive cars. This world’s largest 2nd use battery storage went into operation on the German primary balancing market at the end of 2016. The process will not only help to stabilize the grid as more electricity is fed in from fluctuating renewable energy sources, but can help to improve the environmental footprint of electric vehicles and make e-mobility more cost efficient. How will the “smart grid” add to grid stability and resiliency? Will the “smart grid” increase exposure to security breaches and what mitigation measures are needed to reduce risk? How can we secure customer’s personal information, including energy usage patterns? Don Reeves, Chief Technology Officer, Silver Spring NetworksSilver Spring Networks will share details on how its utility customers deliver savings to consumers via AMI and Smart Grid deployments. The case study will both summarize findings, as well as review the technology and process improvements required to deliver the savings. What steps can be taken to create and facilitate a resilient transportation sector? Are there unique issues for islands? What are the challenges and expectations in creating a resilient system? What are the costs/benefits of hydrogen, biomass and other alternatives? Air, ground, and marine transportation represents more than two thirds of the fossil fuel consumption in Hawaii. We will explore and discuss the opportunities and challenges in the transportation sector. What role can land use and urban planning play in reducing reliance on fossil fuels? What companies are leading in this area? What opportunities are there in the electrification of ground transportation? Frank De Rego Jr. | Director of Business Development Projects, Maui Economic Development Board, Inc.